Never Let Me Down is the seventeenth studio album by David Bowie, released in April 1987 by EMI America. 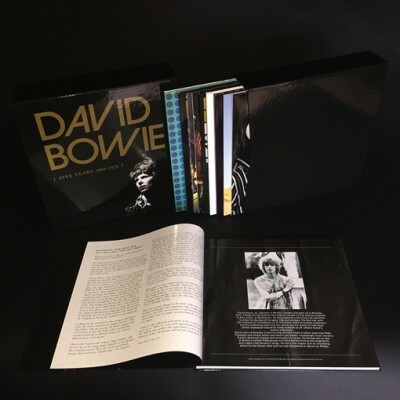 Bowie conceived the album as the foundation for a theatrical world tour, writing and recording most of the songs in Switzerland. He considered the record a return to rock ‘n’ roll music. Three singles were released from the album, “Day-In Day-Out”, “Time Will Crawl” and “Never Let Me Down”, the first two of which were top 10 hits around the world. The album was one of the first to feature different length versions on vinyl and CD, with almost all the songs appearing on the latter having a longer running time than on the former. 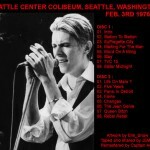 All songs written and composed by David Bowie (except where noted). 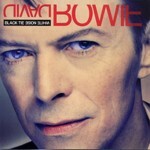 The track “Too Dizzy” has been deleted from subsequent reissues of the album, reportedly at Bowie’s request because it is his least favourite track on the album. 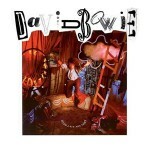 1995 – Virgin Records rereleased the album on CD with three bonus tracks. EMI released the second reissue in 1999 featuring 24-bit digitally remastered sound but no bonus tracks, and also without “Too Dizzy”. A 2007 Japanese re-release of the album, based on the EMI 1999 re-issue, included “Too Dizzy” on the track listing although the song itself doesn’t appear on the CD.